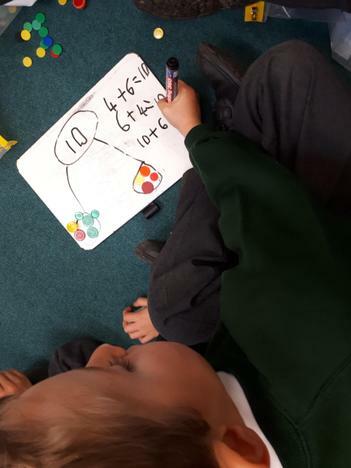 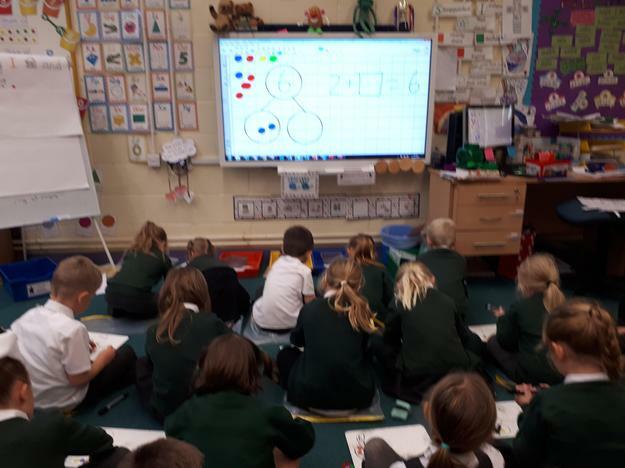 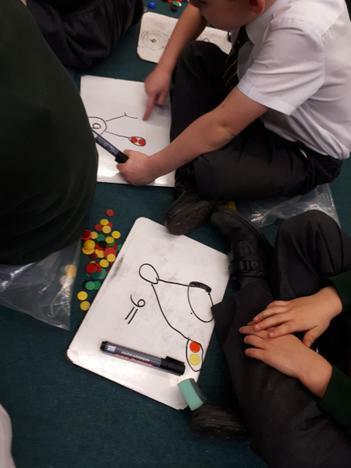 We are continuing to learn all about addition in our Maths lessons. 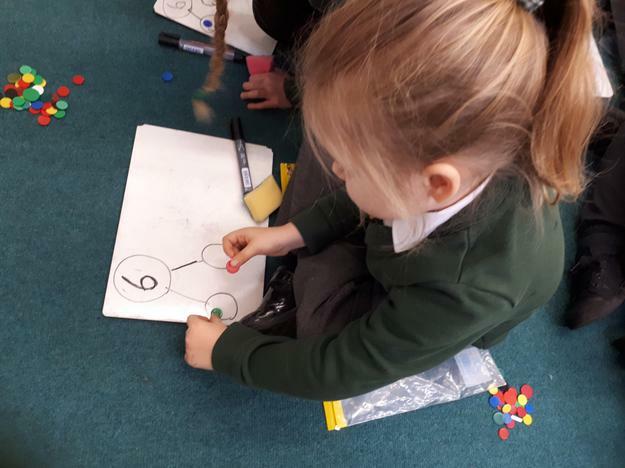 We have been tackling missing number calculations. 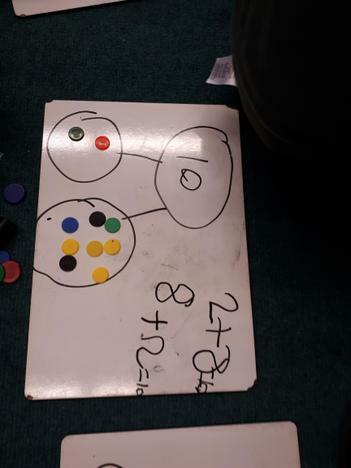 Miss Barker thought we might find this tricky, but we are using part, part whole models and bar models to help us. 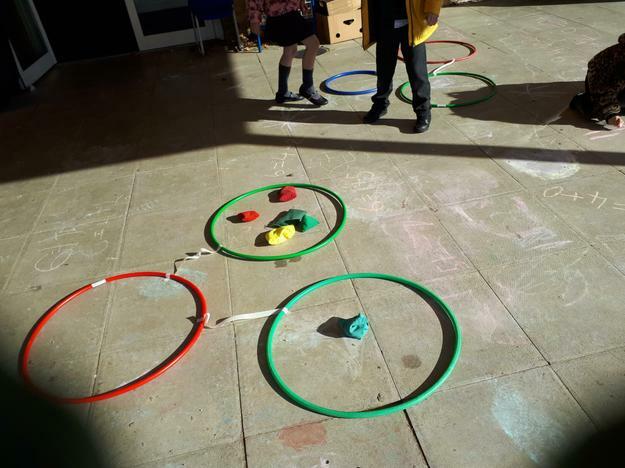 With these and counters there is no holding us back! 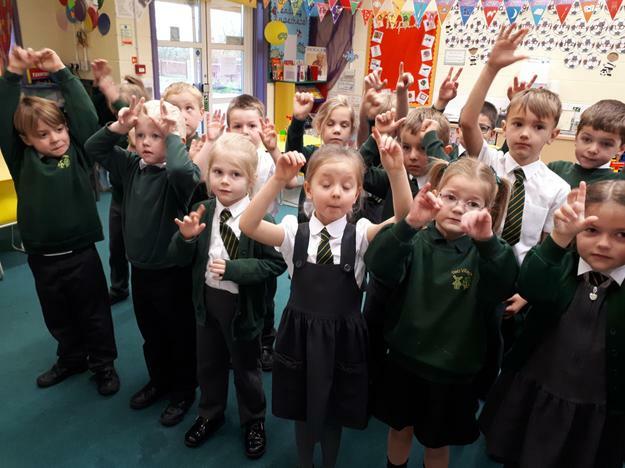 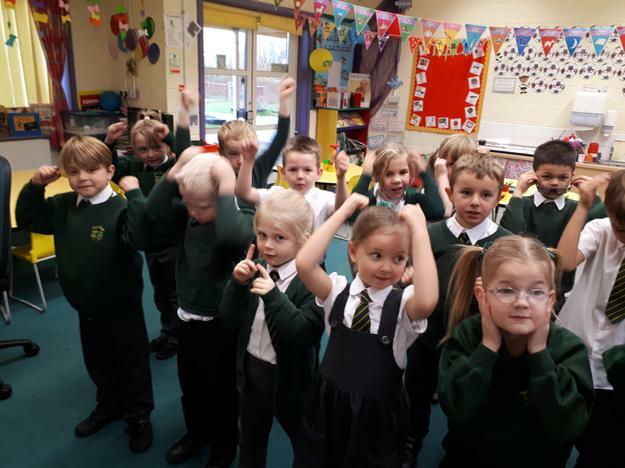 During our English lessons are reading the story 'Whatever Next'. 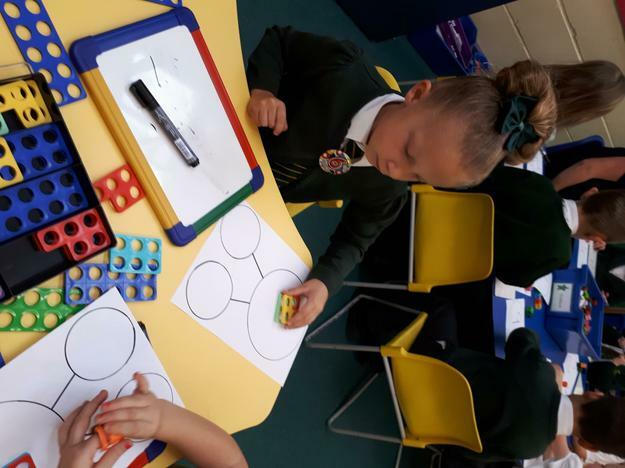 We are learning the story in the form of a recount. 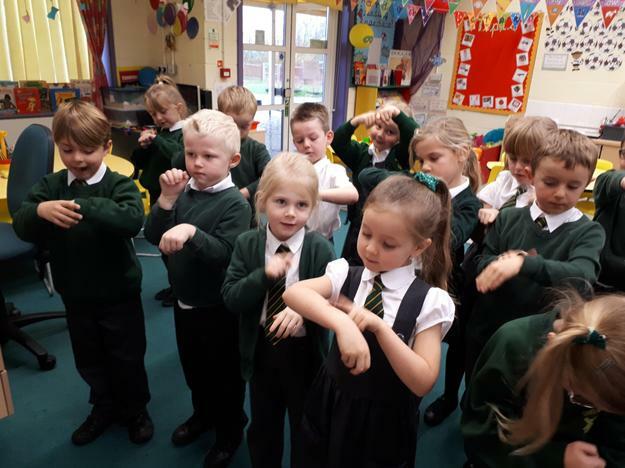 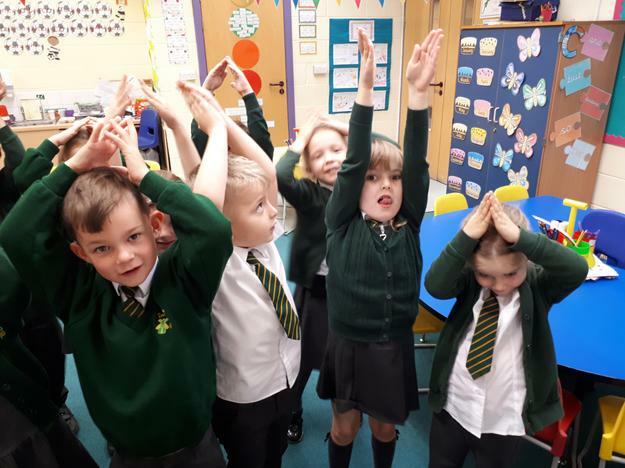 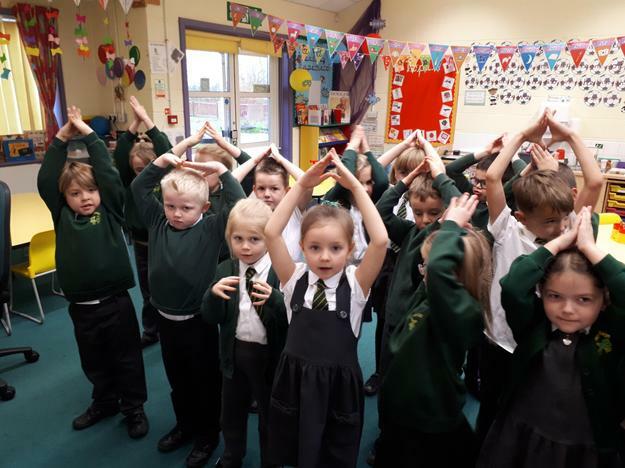 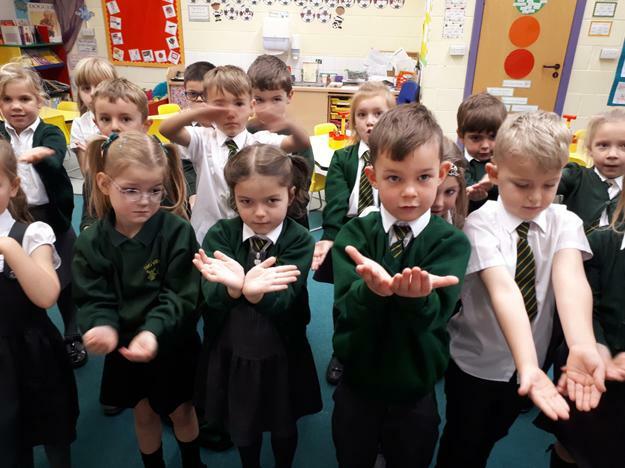 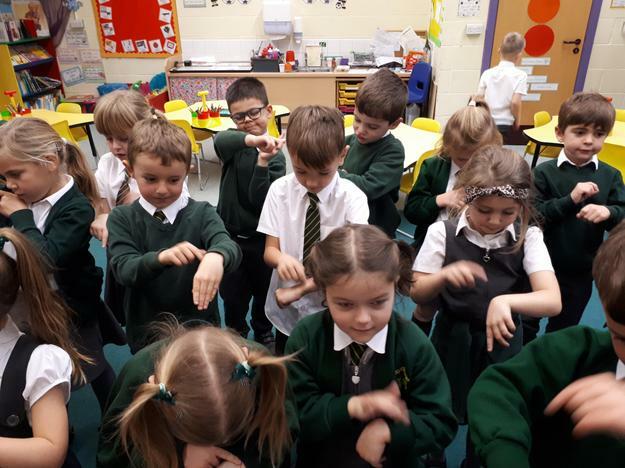 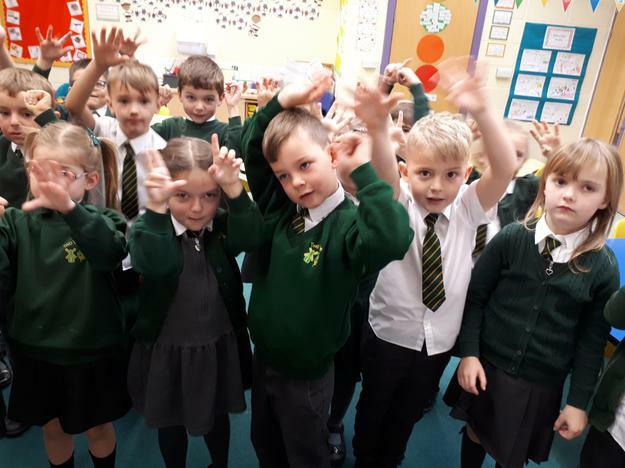 We are pretending to be Baby Bear and telling the reader all about our adventure to the moon with our new friend owl. 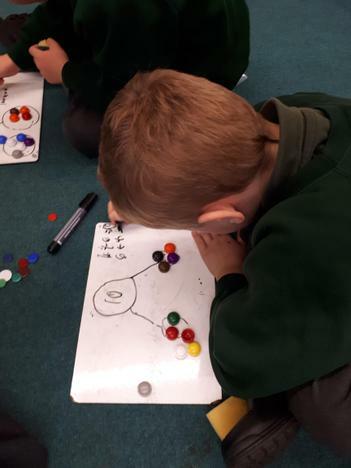 So that we know the recount really well we have been learning it using a story map. 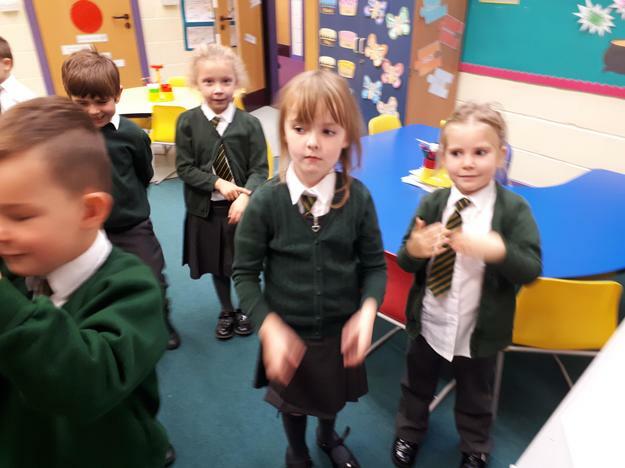 We do this with actions too! 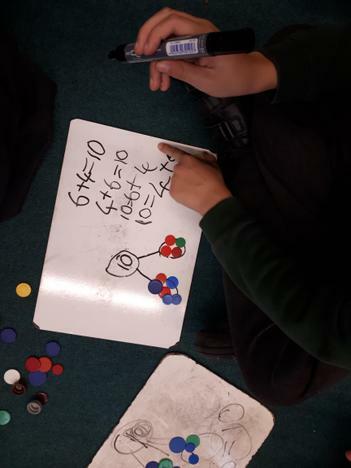 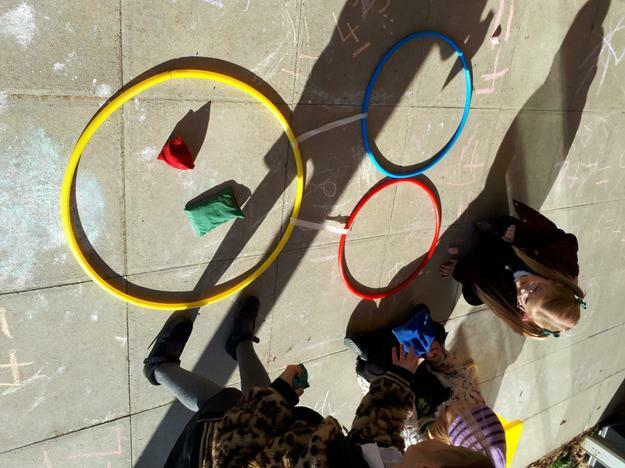 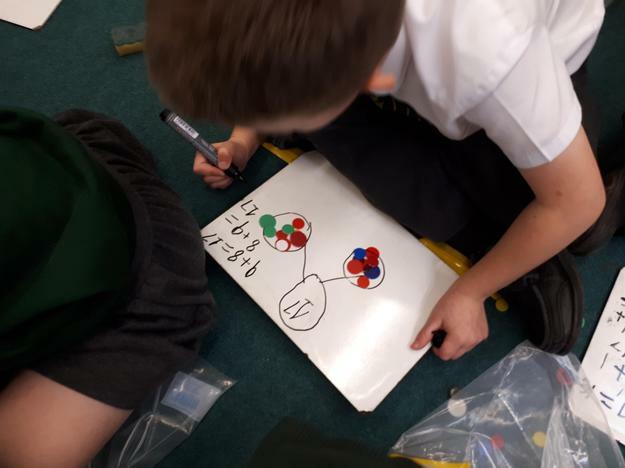 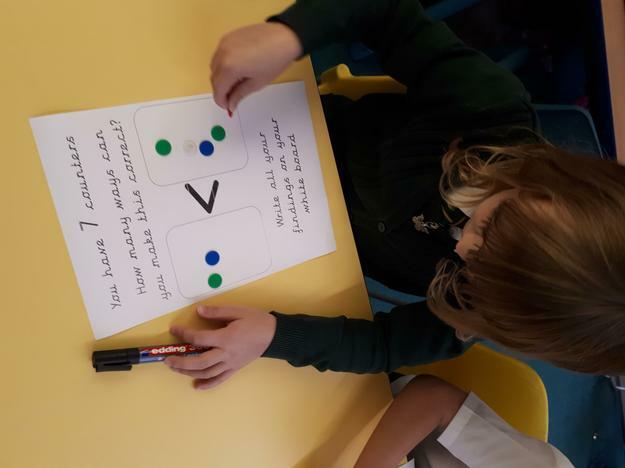 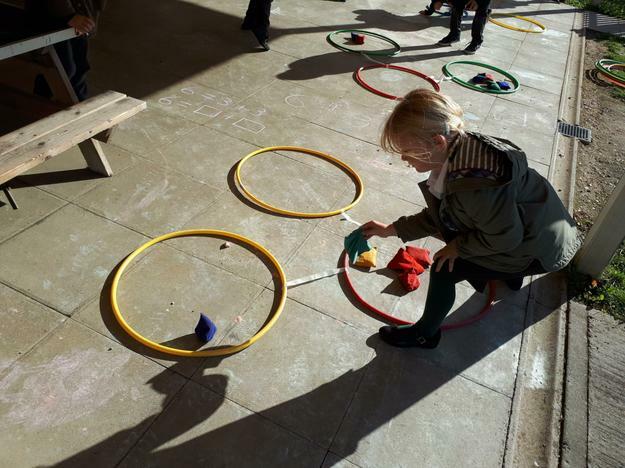 In Maths we have started a new unit of learning all about addition. 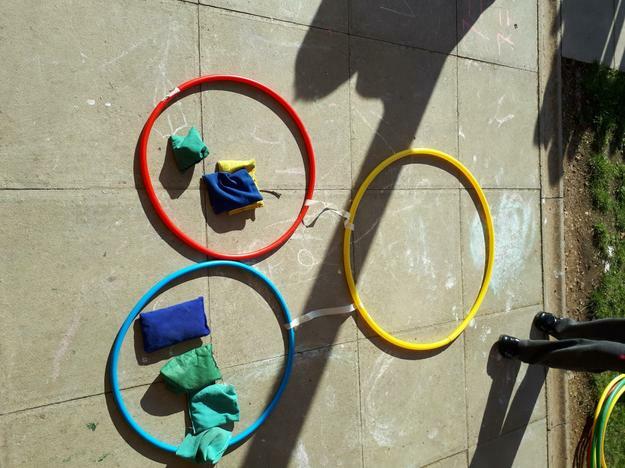 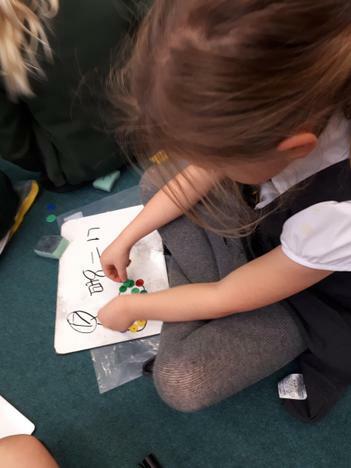 We have been learning how to use a part, part, whole model to help us with our addition skills. 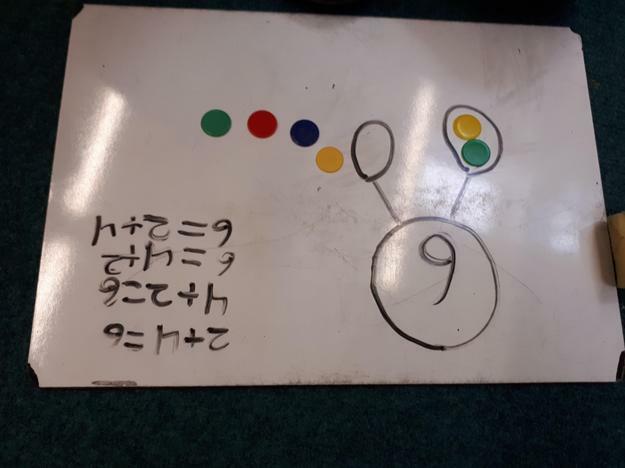 We have also been learning how to use the greater than and less than symbols. 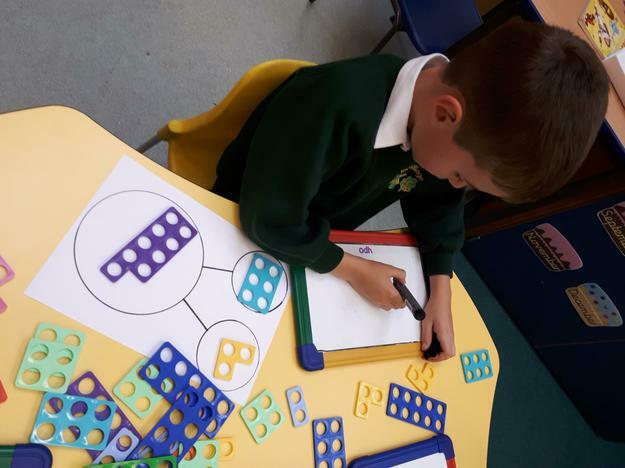 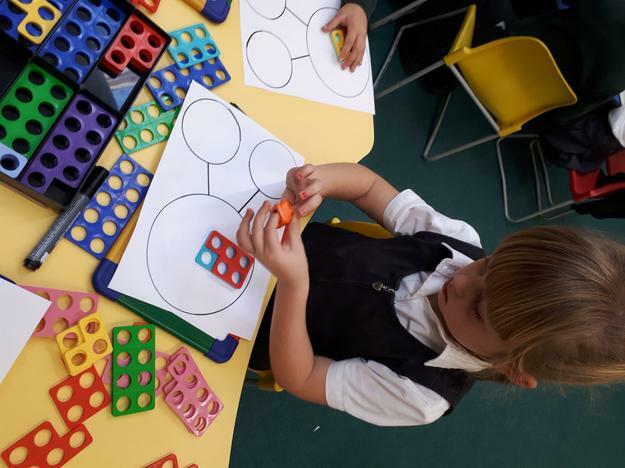 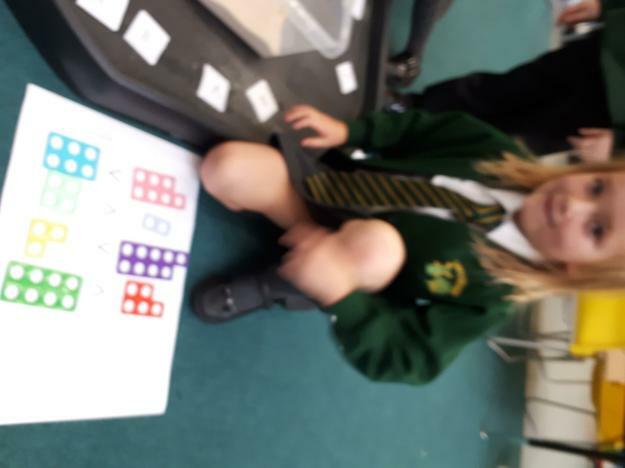 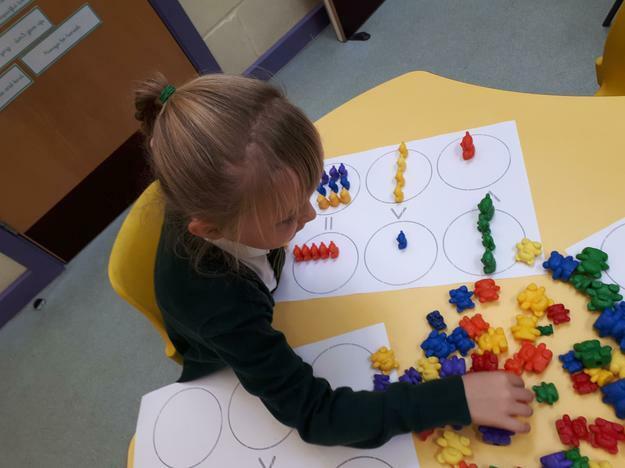 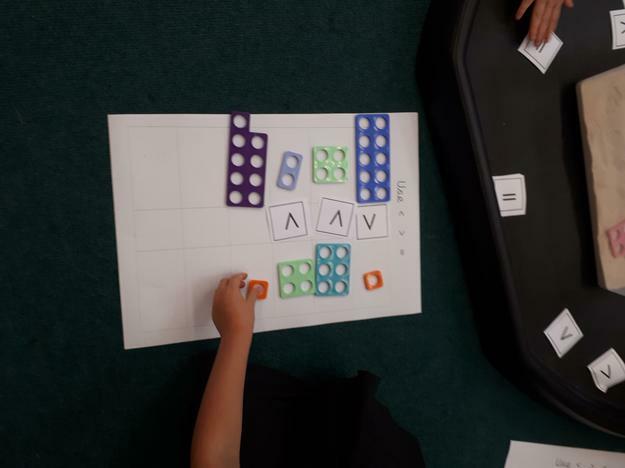 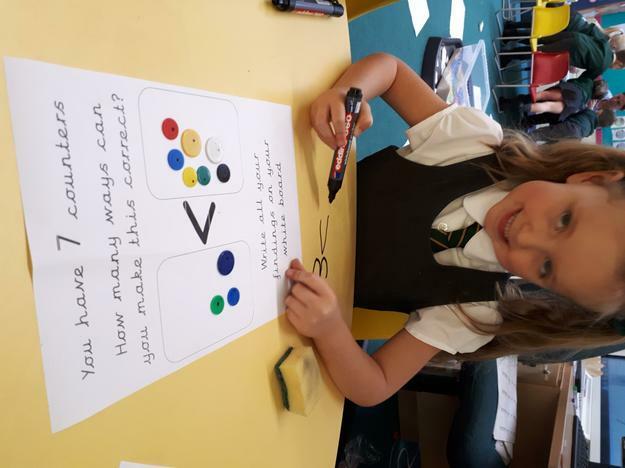 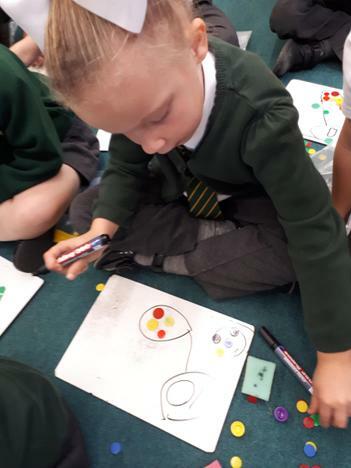 We have used numicon and counters to help us to visualise numbers and amounts so that we could use the correct symbol.